Air Filtration Systems, LLC is a second-generation, family-owned business providing end-to-end sales, installation and post-sales support of industrial and commercial air filtration equipment. Our customers span industries from aerospace to medical to firearms to restaurants … and beyond. 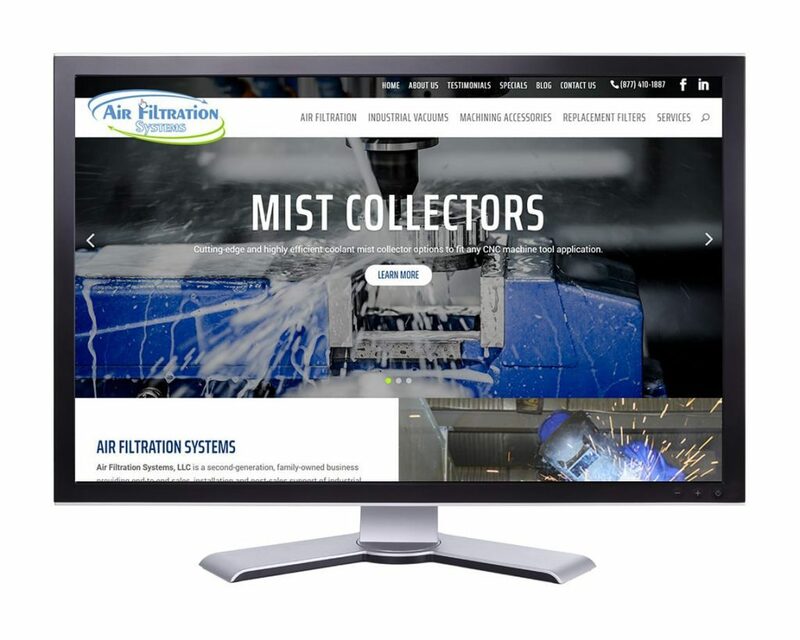 Interactive Palette re-designed the Air Filtration Systems’ website to make it Responsive and mobile-friendly. The new website has an extensive portfolio of products. WordPress was used as the Content Management System. The new website is hosted on Interactive Palette’s dedicated servers. Interactive Palette provides ongoing Maintenance and SEO services. The website is secured with a 256 bit SSL.